Only 25% of technology professionals are female. Girls are opting out of STEM classes in HS. Fewer women earn degrees in Computer Science now than 30 years ago. The numbers are bleak but you can help! TechGirlz can help you organize a technology workshop in your community and inspire girls to explore the possibilities of technology. 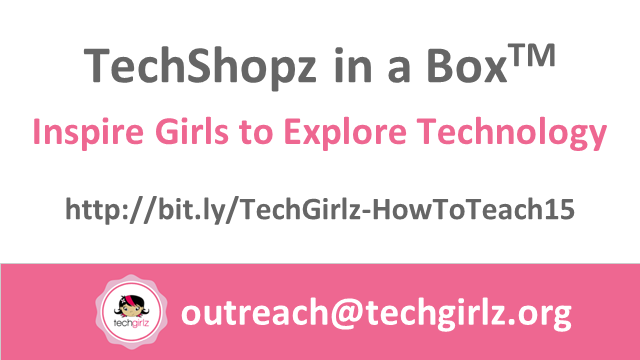 Learn how you can use TechShopz in a Box (TM) free workshop curriculum to introduce middle school girls to topics such as website design and development, game design and development, mobile app design, media editing, robotics, computer hardware, and much more!